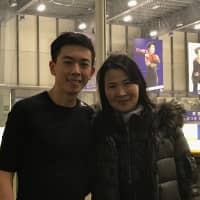 The Japanese summer is not for everyone. 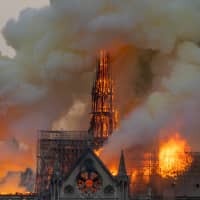 Unbearable temperatures, clammy humidity and glaring sunshine can leave you a dripping, squinting, frizzy-haired, hot mess. Sorry, we can’t help you — but here’s a few Japanese designs that may make summer a bit “cooler” for you. 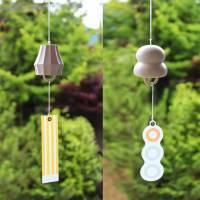 224 Porcelain’s Neiro collection of furin (wind bells) is a contemporary take on a quintessentially Japanese summer ornament. 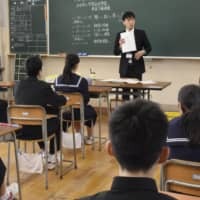 The sound of furin ringing in the breeze is said to have a cooling effect on the listener, and designer Akira Mabuchi has created three types, each shaped to produce a different sound. 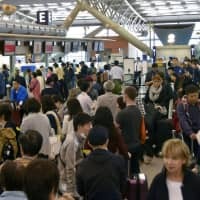 The angular Junikaku produces a high-pitched tinkle; the Akota, which resembles a pumpkin, offers soft clinks; and the Kasanemochi, which looks like the stacked mochi cakes that are displayed during New Year’s, gives short, clunkier rings. Each design also includes a translucent tanzaku (paper strip), highlighted with linear pastel-colored patterns and shaped to match the bell’s silhouette. 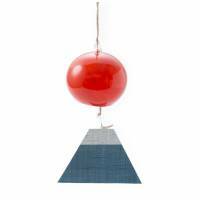 Neiro are unusual because unlike most furin, which are usually glass or metal, they are ceramic. 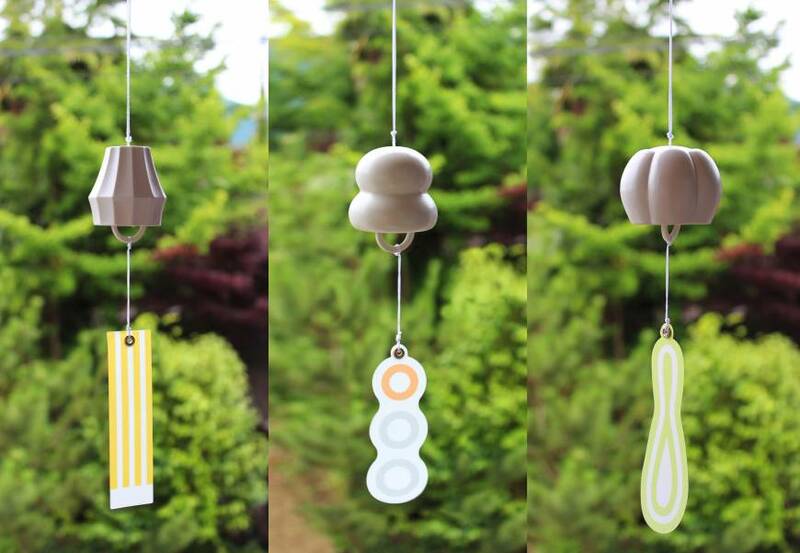 Made in Ureshino, Saga Prefecture, an area known for its tea, Mabuchi says that the wind bells were inspired by similarly shaped mizusashi Japanese tea-ceremony water jugs. Each Neiro costs ¥2,700 and can be bought from 224 Porcelain’s online store. 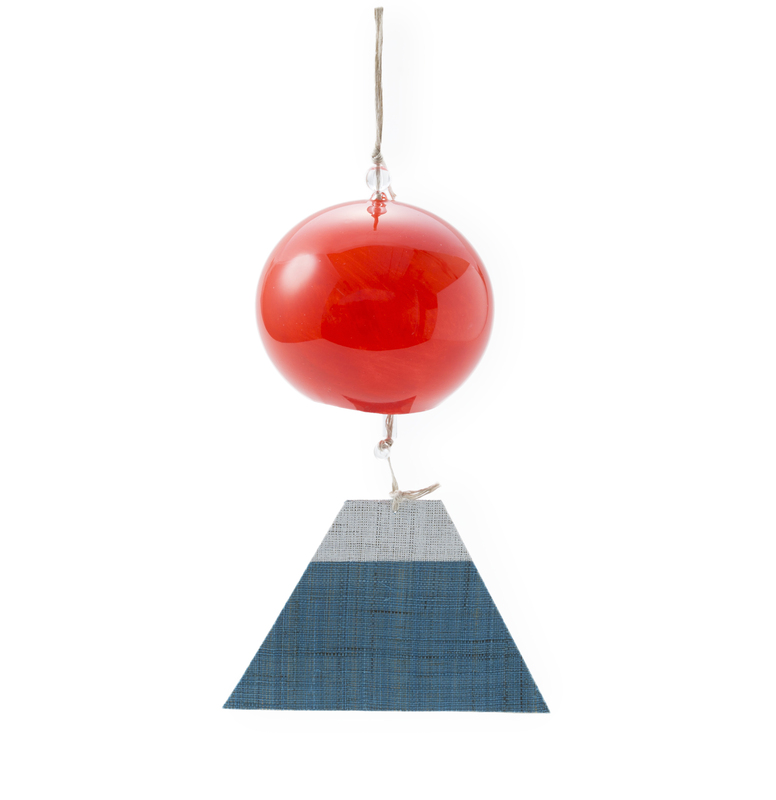 On a more classic bent, Nakagawa Masashichi Shoten’s Dai Nippon Ichi brand has released a Mount Fuji Edo Wind Chime, which doesn’t tamper with the traditional spherical glass bell but paints it cinnabar red to resemble the sun and replaces the tanzaku with a woven hemp tab shaped like Mount Fuji. The bells are ¥2,592 each and only available at the Nakagawa Masashichi Shoten online store. 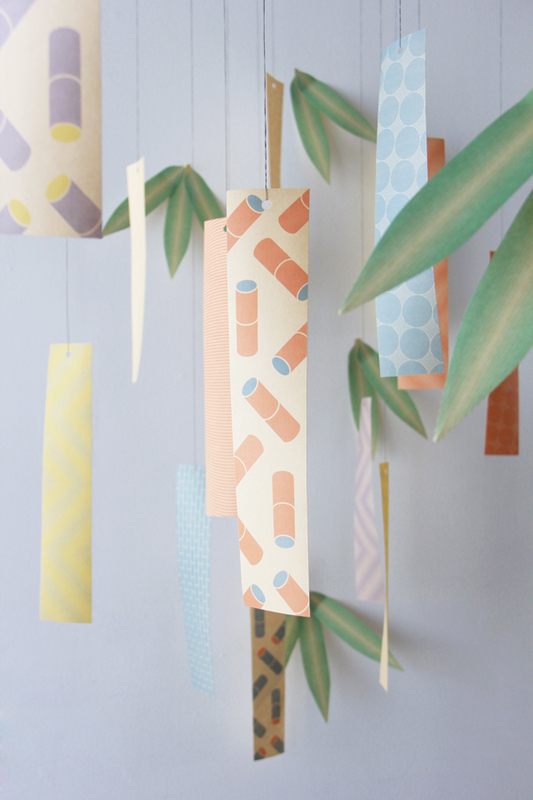 If you already have a furin but need to replace the tanzaku, Meets Takegami’s new Tanzaku papers, made from recycled bamboo, can make attractive alternatives. 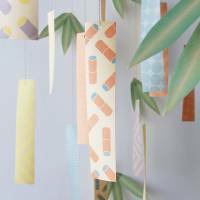 Though created to be hanging votive slips for the Tanabata Star Festival, they’re just the right size for furin and come in 15 colorful geometric patterns by the design group Minna. One pack of 30 sheets also only costs ¥540. 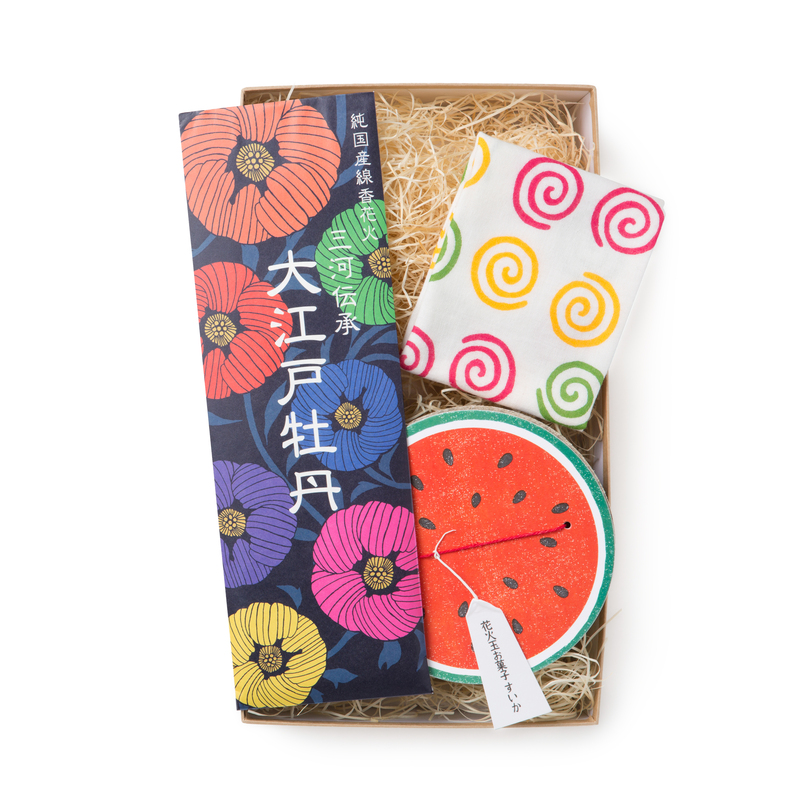 Nakagawa Masashichi Shoten has given some other old-school Japanese symbols of summer an update and packaged them in a special gift box containing candy, a handkerchief and hand-held fireworks. Senko hanabi, gunpowder hand-rolled in tissue paper to make sparklers, have been a summer activity since the late 1800s. Here, the skinny rainbow-colored sticks are beautifully wrapped and presented with a novelty watermelon-box filled with salty melon-candy balls, and a cotton handkerchief patterned with green, yellow and pink mosquito-coil swirls. The summer set costs ¥3,024 and is only available at the Nakagawa Masashichi Shoten online store. Shuta Tokuda’s +d Kuuki Bottle Bag, designed for interior-goods store Koncent, is a handy invention for transporting wine and other bottled drinks. 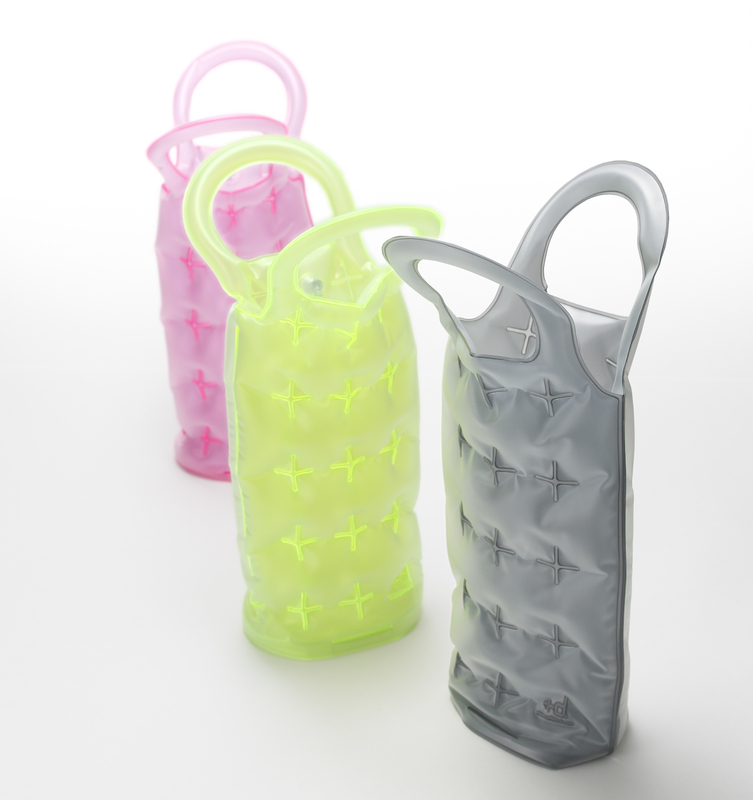 As an inflatable PVC bag, it not only protects but also keeps your bottle cool for longer if you toss in a couple of ice packs. When its not in use, you can also deflate it and pack it flat. You can find the bags in various neon colors for ¥2,700 each at the Koncent store in Kuramae, Tokyo. 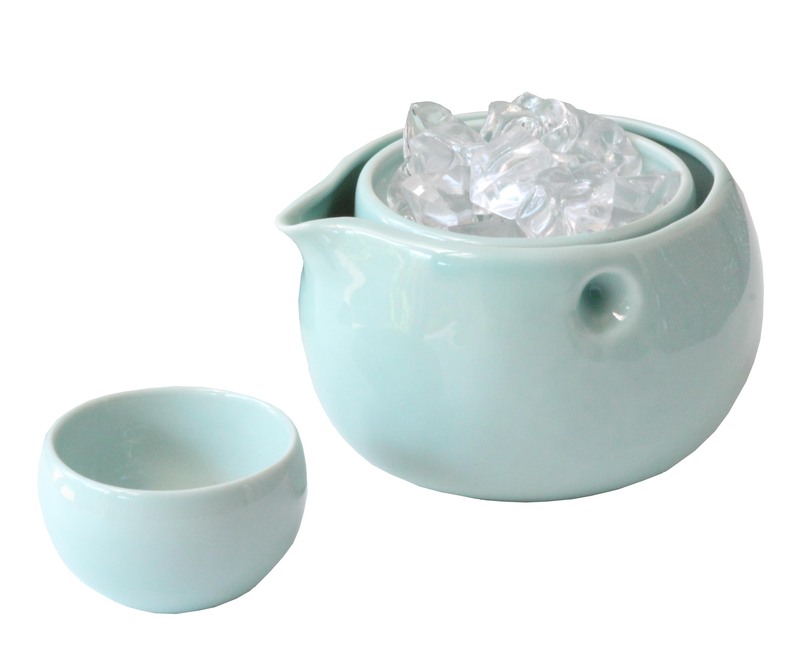 Yamaryo ceramics’ Coron decanter solves the problem of ice watering down drinks like sake or wine. The clever mechanics of this decanter was originally designed by Ryoichi Yokoi for a vessel he called Yurari, but this newer rounder look is by Misato Yugi. 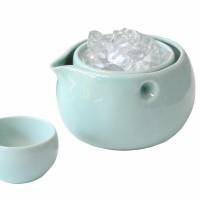 A bowl-like jug, the Coron has an inner nesting cup for ice, which cools the liquid beneath it. 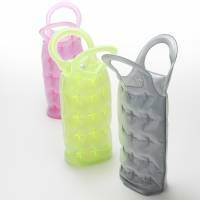 Because it swings on two protrusions inside the jug, the cup also stays level as you pour, keeping the ice away from the beverage. The exterior dimples also make the whole thing easy to hold with just one hand. Coron are ¥3,564 each, come in various colors and can be found at Loft interior stores. Cold somen noodles are a mainstay of summer meals, making Maruhiro Inc.’s Baba Shoten brand of soba choco (noodle sauce dipping cups) a fun addition to the dining table. Baba Shoten is becoming known for its series of artist collaborations, and this latest collection sports colorful illustrations by Shuntaro Takeuchi. 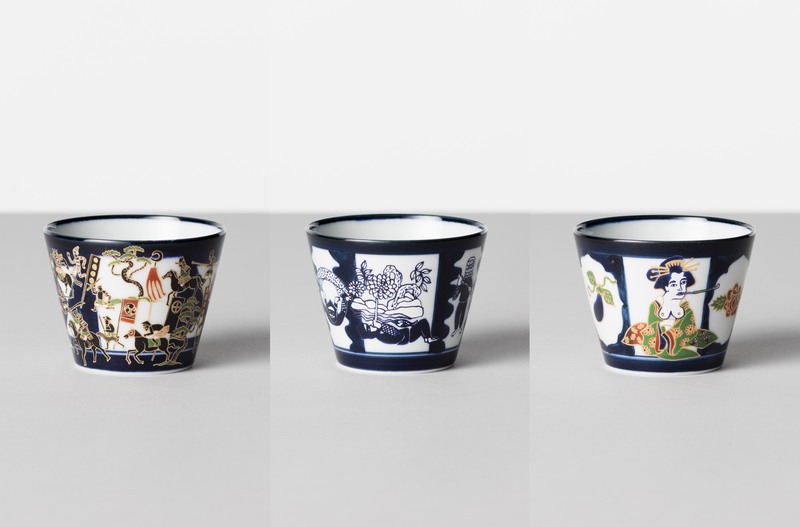 Each cup costs ¥2,700 and illustrations include samurai charging on horses, ninja hiding underwater and a rather saucy geisha puffing on a pipe. Soba choco are available via Maruhiro Inc.’s website, but if you’re interested other collaborations, keep an eye on the website for Baba Shoten’s upcoming soba choco popup stores.